Looking For Day Trips or Weekend Getaways This Winter? New Jersey and the tri-state area is a winter wonderland with plenty of fabulous family destinations for day trips or longer getaways. Recharge, reconnect and make some great family memories. Three fun action-packed activities are at the Minerals Hotel Fridays through Sundays. The activities are Knockerball, Laser Tag and Archery Tag. Guests can also meet animal experts from Eyes of the Wild, Rizzo’s Reptile Discovery and Space Farms Zoo every Saturday. In February only, the Legends Riding Stables guide visitors through scenic trails surrounding the Springs. Horseback riding is available Thursdays through Mondays. There are always exciting events throughout the year at Crystal Springs Resort! A perfect getaway – and close by! Snow tubing, skiing, ice-skating, cross-country skiing – and more! Enjoy outdoor winter adventures, plus an amazing indoor biosphere pool. This year Mountain Creek will be host to the Special Olympic Winter Games. Approximately 300 athletes will compete in various winter sporting events such as alpine skiing, cross country skiing, snowboard, snowshoeing, speed skating and more. This is a great time to visit Mountain Creek and take part in this heartwarming and exciting event. Sterling Hill Mining Museum is open everyday this winter. Public tours are offered on weekends and Mineral Collecting is open daily, weather permitting. The Mine Run Dump is home to hundreds of tons of ore from the depths of the Sterling Hill Mine. A lot of the ore is fluorescent and there is also other areas that contain minerals and rocks from all over the world. Enroll in Classic Thyme’s Kids and Youth Basic Kitchen Skills Cooking Series. The program is held on four Fridays in January and February and helps children learn basic cooking skills. The series teaches them how to measure and mix, food safety, knife skills, food groups and how to use kitchen appliances. The final date invites one adult to visit and experience what the kids have learned and created. 117 N Union Ave, Cranford, NJ. 908-272-2600. Sign up for Fire It Up’s Kid’s Nights Out. Children will make their own creations and have a pizza dinner while they are working. January 12: 2018 Plaque, January 26: Clay Frosty the Snowman, February 9: Heart Shaped Journals, February 23: Clay Ring Holder. Registration required. Suitable for children ages 6 and up. Visit the Liberty Hall Museum for a Frozen themed afternoon. There will be crafts, games, a hot chocolate bar, treats and an appearance by a special guest. Come dressed as your favorite character. Recommended for ages 3 to 10. 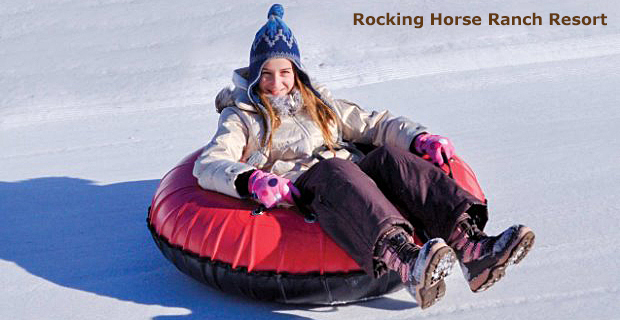 Rocking Horse Ranch’s Winter Fun Park is full of family fun things to do. The Ranch features a skating center, Timber Chute Snow Tube Lanes, the Magic Carpet Conveyer Lift, Trail Rides and Horse Drawn Sleigh Rides, a Snow Making System, skiing instruction and more. Book your winter trip now! A four-season resort – winter fun includes snow tubing, ice-skating on a huge pond, skiing (off property) wagon rides…and that’s just the beginning. Plus endless indoor fun for the entire family. 1660 Blue Mountain Dr, Palmerton, PA. 610-826-7700. Join Blue Mountain Resort for their free Annual Winter Fest. Guests can try out winter sports that they have never experienced. Activities include the USA Luge, Ice Carving Demonstrations, Ice Thrones and Slide, Dog Sledding, Meet and Greet with the cast of Frozen, Fireworks, Snowmaking tours, Scavenger Hunt, Snowtubing and more! 271 North 21st St, Philadelphia, PA. 215-448-1200. Throughout January and February, the Franklin Institute has many ongoing events for children and teens. Intro to 3D Printing Workshop is geared towards pre-teens and teens. Students learn how to bring their ideas to life through 3D printing and modeling. The workshop helps pre-teens and teens become familiar with this new technology and their work will be displayed in the museum. Camp-ins are perfect for kids ages 6 to 13. It is open to families, members, the public and scouts. The sleepovers are even great for birthday parties. Where else can you have a sleep over in a gigantic museum? 211 S Columbus Blvd, Philadelphia, PA. 215-413-8655.